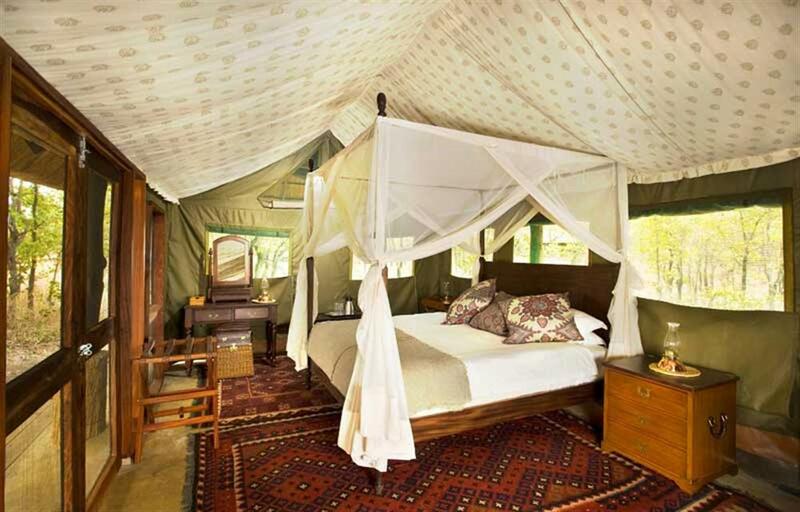 Operated by The Bushcamp Company, Zungulila Bush Camp is situated on a raised knoll overlooking a remote corner of the Kapamba River with immense views over a variety of wildlife. New all-weather roads have recently been built to enable guests a 4x4 experience up into the hills where there is a chance to see the elusive Eland as well as enjoy all the pleasures of walking in the surrounding vicinity. 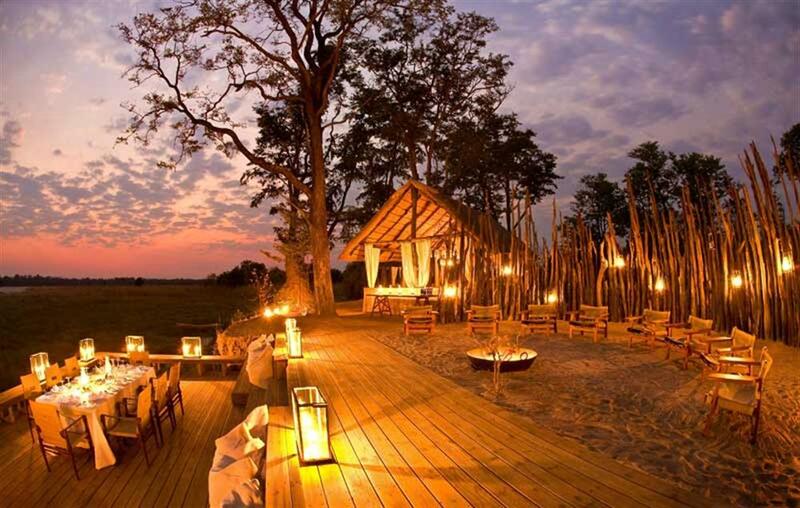 The day’s adventures are retold around a starlit dinner on a beautiful deck or around the sandy boma with an open fire and soft lanterns. 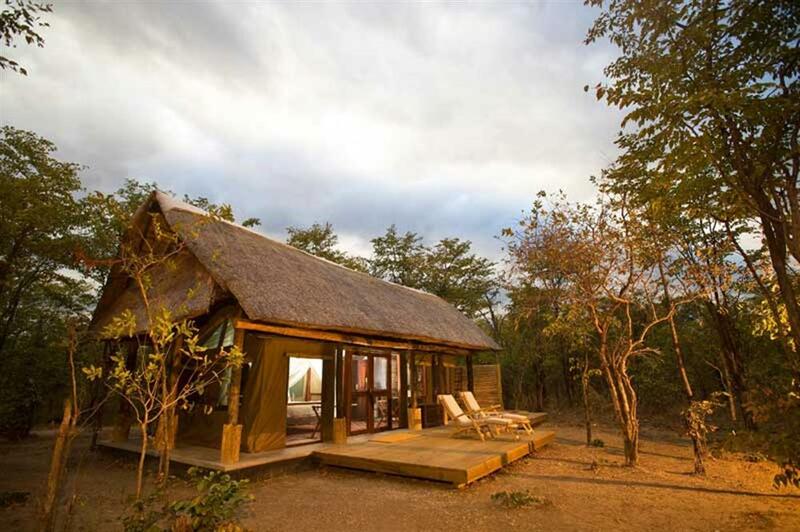 Accommodation consists of four thatched chalets. 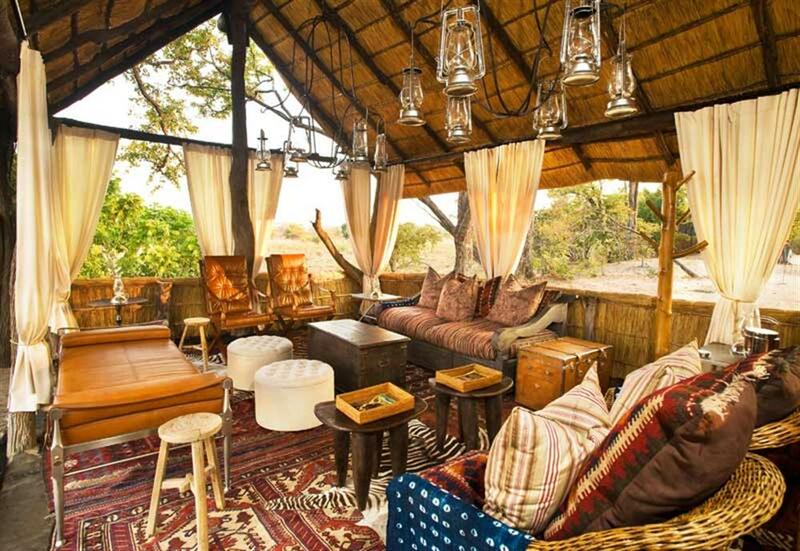 Each has a large bedroom and full outdoor en suite facilities with shower and sunken plunge pool, as well as a large private veranda where guests can relax and enjoy the abundant game that frequents the spring-fed plain in front of camp. 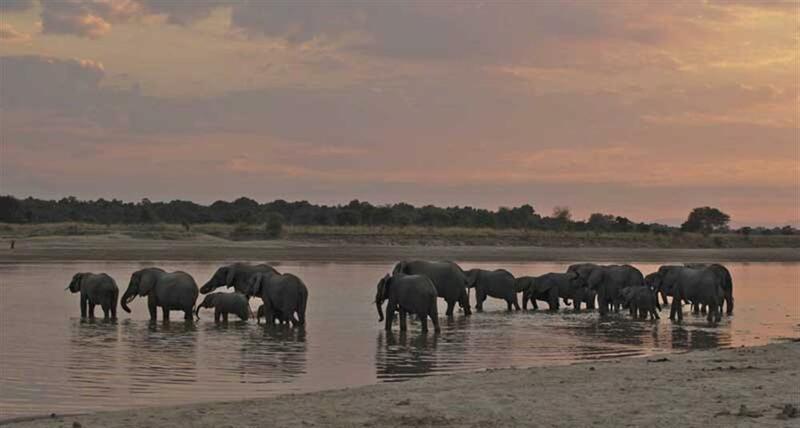 Expert guides will lead you on foot through some of the park’s most untouched wilderness, where large herds of buffalo roam the plains and elephants come to drink at the springs and along the river. 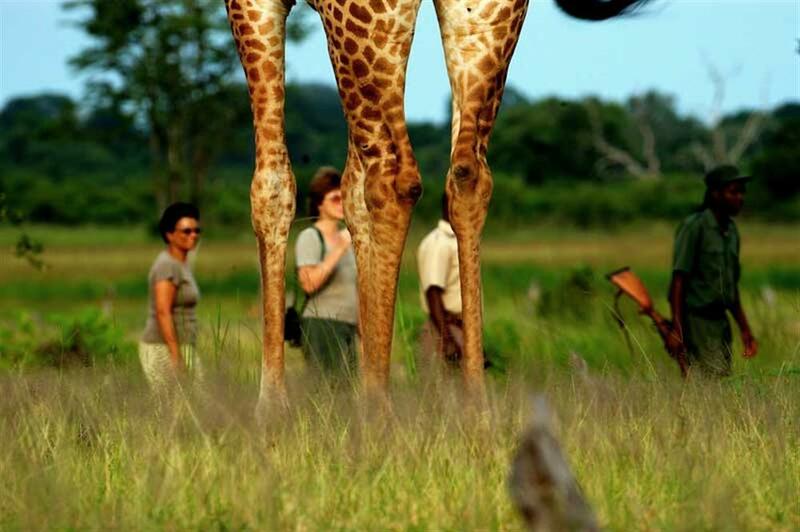 With limited roads in the area, activities are focused around walking, but to get even further afield, day and night game drives are also on offer. 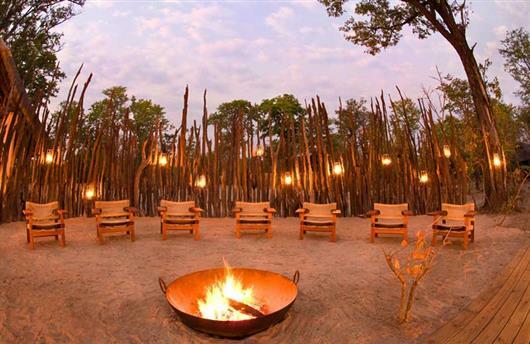 In the evening, after wading through the river, you can join your hosts for sundowners, or sit around the campfire for a drink, before recounting the day’s adventures over a supper overlooking the river. Specialising in guided walking safaris, The Bushcamp Company prides itself on top class guides and offers guests the chance to walk as Livingstone once did among pristine, untouched Africa. Please contact us for the latest camp opening dates.